Worries about retirement security abound. Families fear that they won’t have enough to support an adequate retirement income as home values and financial markets plummet. Dwindling profit margins have employers looking to cut costs. And governments are concerned about delivering on the promises that they have made to their citizens and to their employees as tax revenues shrink amid a weakening economy. In this environment, some have proposed replacing traditional defined benefit (DB) pensions with 401(k)-type defined contribution (DC) retirement savings plans in an effort to save money. But decision-makers would be wise to look before they leap. To deliver the same level of retirement benefits, a DB plan can do the job at almost half the cost of a DC plan. 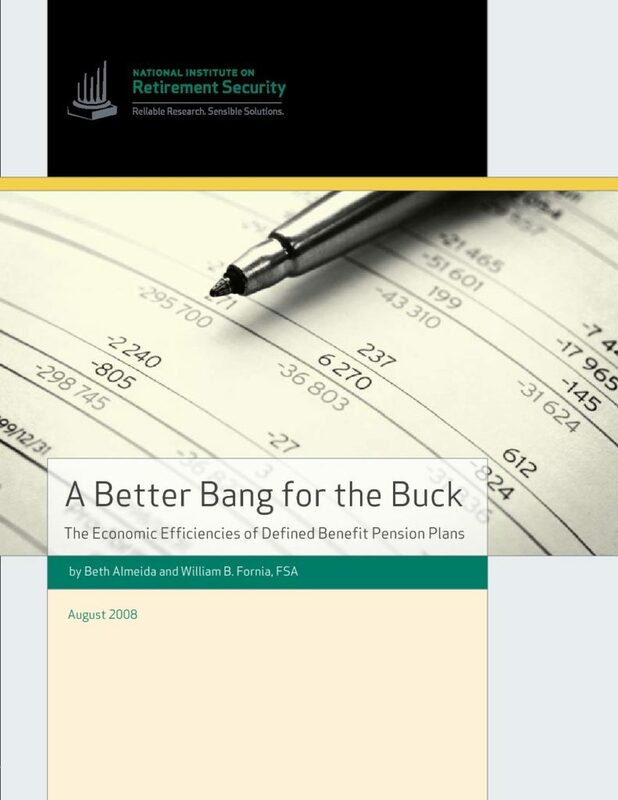 Hence, DB plans should remain an integral part of retirement income security in an increasingly uncertain world because they offer employers and employees the best bang for the buck.